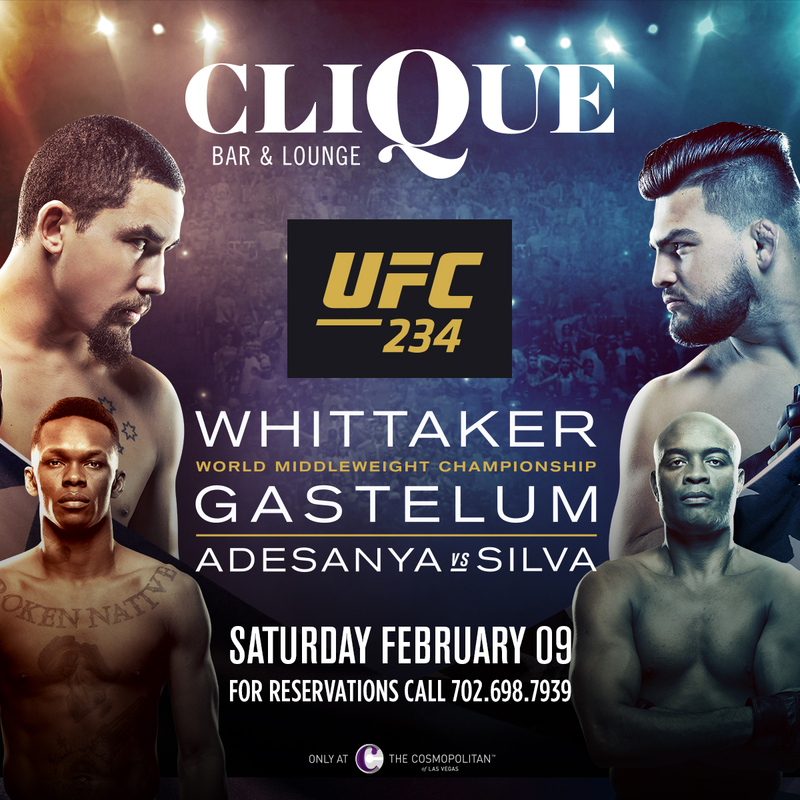 Looking for Cosmopolitan Las Vegas February Events At Clique Bar & Lounge !? We’re known for our great cocktails, creative food, and killer ambiance. But that’s not all we have to offer. 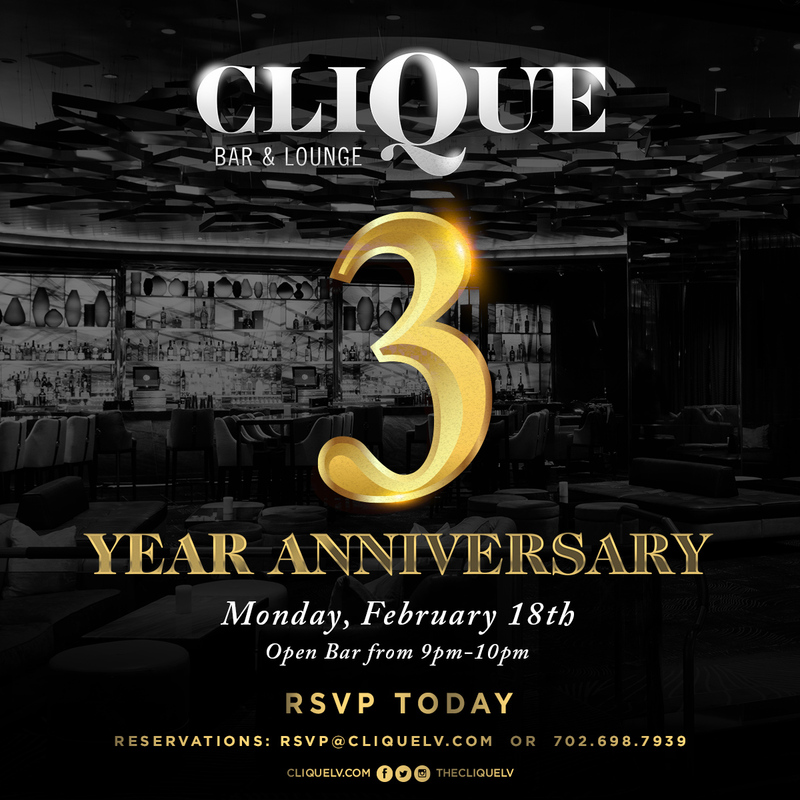 At Clique, we want our customers to enjoy a Las Vegas lounge experience unlike any other. To help reach that goal, we pride ourselves on offering a unique and impressive entertainment roster that delights and engages our loyal customer base. We regularly host special events, and frequently offer up live entertainment including live music and some of the world’s most talented DJs. Las Vegas isn’t afraid of a little magic, but this convention has nothing to do with rabbit in the hat tricks. MAGIC is one of the biggest and most comprehensive fashion conventions in the world! It takes place every February and August in Las Vegas. At this show, fashions are introduced to the world–it’s truly where trends hit the market. It’s hugely attended, and Clique is conveniently located near all the action. It’s a simple fact: people love connecting over cocktails. So if you’re in town for MAGIC, make the most of your networking opportunity by suggesting Clique as the perfect venue for cocktails! Want to make a good impression? Treat prospective clients or valued customers to our Tableside Mixology service. With this service, you’re treated to a tableside cocktail experience where one of our mixologists creates drinks right before your eyes. It’s a truly once in a lifetime experience and is bound to delight the senses. Not only is Clique is the perfect meeting spot for meeting with colleagues or clients, but it’s also a great location to enjoy a post-trade show cocktail and snack and relax after a hectic day. Be sure to hit us up while you’re in town for the big show! UFC is short for Ultimate Fighting Championship. This is a mixed martial arts extravaganza featuring a series of fights that take place around the world. UFC is considered a premier MMA (mixed martial arts) organization, and fuses martial arts and fighting within various weight classes to keep the opponents even. 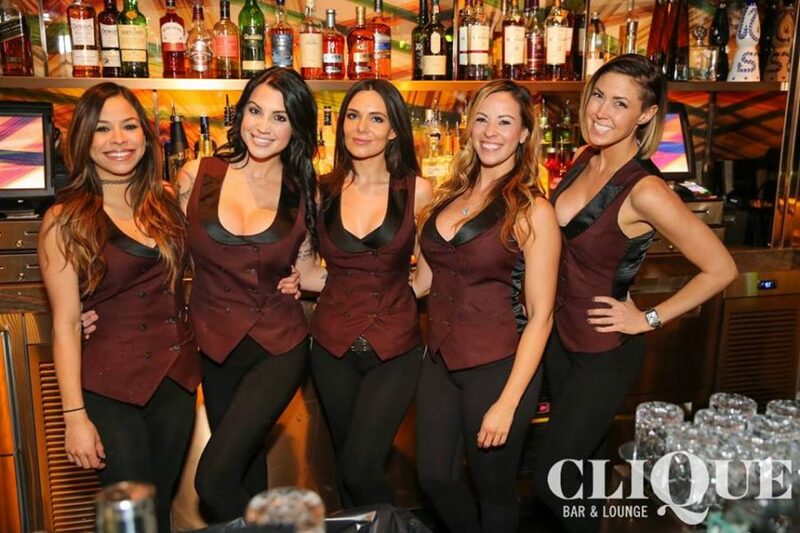 Events are held monthly, and Clique is the perfect venue to enjoy them! Not only are we conveniently located on the Strip, but we have incredible cocktails and food to help you cheer on your favorite contestant! It’s official: Clique is turning 3! In one regard, it’s hard to believe that it’s already been three years; yet at the same time, it’s incredible to look back and consider how in such a short period of time, we’ve established ourselves as one of the premier bars in Las Vegas! To celebrate the big day, we’re planning a birthday bash on February 18th. It’s bound to be a great time; won’t you be our guest? Great Events All Week Long! We also offer Viewing Parties for all of the best sporting events and more! Read this post to learn more about these regular events. Conclusion: At Clique Bar & Lounge, we pride ourselves on offering the best food, cocktails, ambiance, and service. But that’s not enough! We also strive to offer the best and most creative entertainment around. From the offering the perfect post-trade show meeting spot to hosting supercharged sporting events to incredible birthday bashes, we never do anything halfway at Clique. Come see for yourself why we’re Las Vegas’s premier cocktail lounge and entertainment hub! Be sure to check out our Event Calendar, and be sure to follow us on Facebook, Twitter, and Instagram! Which event are you most excited about?